Right-click on it while holding the Shift key. 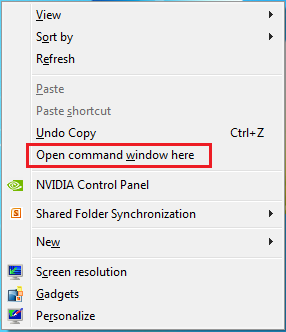 Select Open command window here. I started this tech blog back in 2011 as a place to write down processes I took to fix my client systems and network. Now I write some tips and tricks to help others with the tech issues that one might encounter.